We are privileged and delighted to welcome Dave Parvin from Drug Sense UK to talk to our students, staff and parents and drug awareness. Dave is an expert on Drugs Education having spent many years working in the Police as part of the Drug Squad. 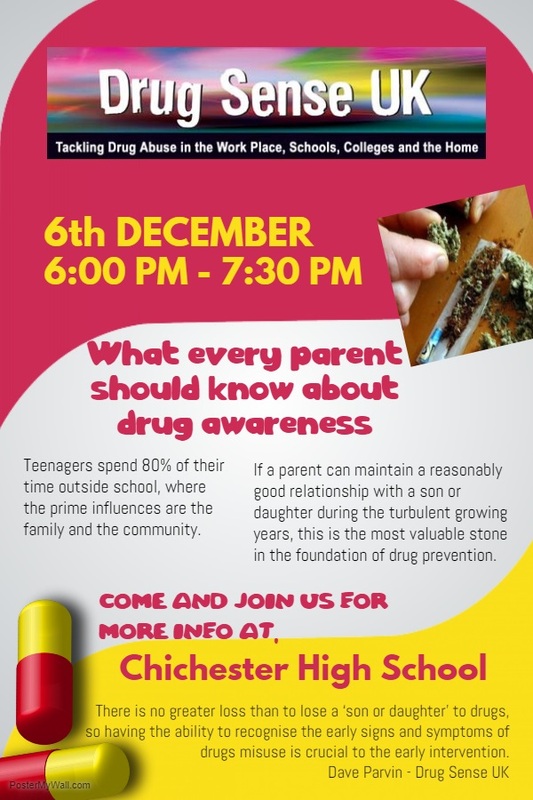 He is able to speak to the pupils openly and frankly about how they can make safe and informed decisions around drugs. The key message throughout every talk is that through being aware of the risks and keeping their life goals in mind at all times, young people will have the skills and strategies they need to avoid dangerous situations and make safe decisions. Some additional information for you.